If you are a trainer or coach or consultant, you especially stand to profit by adding this lucrative source of income to your business. There are several secret benefits of promoting your own events that not only put money directly into your pocket immediately, but also build your credibility, increase your visibility in the marketplace, position you as an expert and quickly establish you as a 'Client Magnet'. Depending on the topic, you can typically charge several hundred pounds for a place at your public event. As long as you keep your marketing costs down and pay a reasonable fee for the venue, even with relatively low numbers on a course, the profit can easily run into the hundreds and thousands. In many cases the profit you make in just one day will far exceed the fees you would get paid by a corporate client. This will raise your perceived value in your eyes and your clients'. Actually, raising your perceived value in your eyes is what's most important. Back in 1998 I used to find it difficult to ask for more than £500 per day, then I ran an event which made me £1600 gross profit. After that, I had no problem raising my fees. It also made it much easier to turn down work where a client was unwilling or unable to pay what I asked. After all, why would I sell a day for £500 when I knew I could make at least £1600 promoting my own event on that same day? Instinctively, most of us know that neediness repels rather than attracts clients. Even if you try to cover up your neediness, prospective clients can smell your desperation and it keeps them at bay. Promoting your own seminars, workshops and training courses reduces your neediness and puts you in control. You are no longer in the needy position depending on clients to book you, relying on associate work through third parties or at the mercy of clients who may cancel at short notice. You can say 'no' with confidence to clients who are unwilling or unable to pay your full fee. When you promote your own event, you are in control. You get to choose the date, the location and set the price. Of course you will still work for clients 'in-house', but with the confidence of knowing that you always have an alternative income stream when you need it. When a client is thinking about hiring you, two major questions in their mind are: 'Can this person deliver what they say they can deliver?' and 'Will their approach work in our particular business?' The trouble is no client can really answer these questions until after they have hired you. And that's the catch 22. This is a major stumbling block which can delay, if not totally grind, the sales process to a halt. You can probably think of situations with your own prospects where this is the case. It's a frustrating stalemate. Promoting your own training courses or seminars can help you avoid this stumbling block because it gives your prospective clients a chance to sample you at low cost and low risk. If a client is interested in hiring you, they can first send an employee to one of your events and get a chance to evaluate your approach. It also gives you a chance to test how serious your prospective client is. After all, if a company is not prepared to invest a few hundred pounds for a place on one of your courses, how likely is it that they will invest thousands in a longer term project? When you promote your own events you start to position yourself as the expert on your particular topic. Offering public courses helped me to become a Client Magnet. Instead of having to cold-call, prospect or chase after clients, I had interested, motivated and ready-to-buy prospects calling me. When you start promoting your own events you can quickly be in this position too. Ironically, often the very people calling you are the ones it would be impossible to reach via a cold call. Not only does running an event increase your visibility, it also establishes you as an expert. Firstly, your seminar, training course or workshop is a wonderful showcase of your expertise. Many of my first in-house training contracts came as a result of referral or recommendation by participants who had attended my open programmes. In fact, one participant referred over £18,000 worth of business within the first 12 months after attending my course. My data bank of testimonials was built by satisfied seminar attendees. Secondly, public seminars or training courses can actually be a form of market research because you quickly discover that the same issues and questions come up time and time again. Your participants will teach you what the key problem areas are. You can demonstrate this understanding in both your marketing and sales meetings, and your prospective clients will see you as someone who truly understands the real issues. This is invaluable at helping you stand out from the crowd. Many trainers and consultants find themselves in the position of doing associate work for third parties. You may be getting regular work but know that you could be earning a much higher daily rate if you were working for clients direct. Early in my training career I found myself in this frustrating position. My diary was full of steady, but not brilliantly paid work delivered under the 'umbrella' of third parties who were also taking a generous chunk of the fees paid by clients. And because I was so busy fulfilling training as an associate, I didn't have time to proactively market myself. I could have stayed trapped in this situation for years, but my escape route from this treadmill was via promoting my own public training courses. When I realised that I was earning more per day by running my own events than I was getting paid as an associate, it gave me the confidence to offer more public workshops. I quickly built my own client list and received full payment from these clients. No more third party commissions! One of the most frustrating aspects of running a service business is the 'feast or famine' syndrome. This means income is rarely stable or predictable. The impact this can have on our emotions is not to be underestimated. Our moods can swing wildly from elation when work and money is flowing in abundance, to fear and frustration when it isn't. Not surprisingly, our magnetism flashes on and off in direct proportion to these emotions. Promoting your own events can help you get off this emotional roller coaster. When you have identified the right topic and set up your marketing system, you can count on a certain amount of income month in and month out. What difference would it make to you if you knew you could be generating £3-4,000 gross profit month after month from running events like this? These figures are conservative. I know of people who are earning much more from promoting their own events. Ever found yourself in the position where you were still waiting for payment for work you delivered three months ago? Most self-employed people find themselves in this situation sooner or later. The beauty of promoting events is that you get paid up front - often several weeks before the event takes place. Events can also generate revenue quickly. I resigned from my last employer in May 1996, and by the end of June I had successfully promoted and made profit on my first event. Contrast this with the typically long sales cycles you encounter as a consultant or trainer, and it's easy to see the attraction of running an event like this. This is simply not true; please do not overlook what this highly valuable additional revenue stream can do for your business. Every service business can benefit from offering public seminars, training courses and workshops. 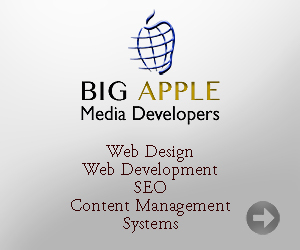 You undoubtedly have skills and expertise that is highly valuable to your target clients. The challenge is to identify a topic which your target market is hungry for, and build an event around that. You too could be benefiting from the advantages I have outlined so far. Remember, when I started I was only 26, I had no track record and little credibility, and I didn't have a huge budget for marketing training courses. If I can do it from this starting point, then anyone can. 1. You have never promoted an event, in which case I am hoping that I have persuaded you to add this lucrative income stream to your business and start enjoying the financial and marketing benefits that it will provide, but maybe you still have some questions about how to put together a profitable event. 2. You have tried promoting events, but stopped because you have been disappointed by the results. Either you lost money, or didn't get the return you wanted on your investment or money or time. It's true that without the correct knowledge of how to make money running these events, people can be easily burned. Typically this is because the topic is wrong, the brochure just informs, but doesn't sell, unrealistic expectations, or incorrect pricing. Fortunately all of these situations can be corrected and you can turn a previous 'flop' into a profitable event. I know this because I've made most of these mistakes, learned how to avoid them and now I'm in a position to share this expertise with you. 3. You are already promoting your own events, in which case you are probably nodding with much of what I have covered so far, and I hope I have helped you recognise some additional advantages and opportunities, and perhaps you are interested in discovering how you can make your events even more profitable. Whichever situation you find yourself in, you will want to be part of this special event, the Event Money Machine, later this month. Tickets to this event are FREE - so join our priority notification list to be the first to know when they become available.